I'm having a bit of an annoying issue right now. Whenever I play YouTube video and hover my mouse over it, it sorta changes colors a bit or flickers rather? and stays as long as I keep my mouse over it, as soon as I move it away it fixes itself. I was wondering does any one of you possibly know a solution on how to fix this?, it's pretty annoying. @lukask What OS? Is your graphic card drivers up to date? It only happens on YouTube? @lukask Dailymotion, Vimeo, etc. Does it work in Chrome? What about other browsers? Can you watch video files in your system? @leocg video files on pc work fine, vimeo does the same thing, it seems to be happening on chrome too, I've just installed and tried it. I've also just tried it on Microsoft Edge, it seems to work fine without flickering there. @lukask May be a Chromium and/or driver issue. Check if opera://gpu says something. @lukask Check the log messages on the bottom. And check with hardware acceleration enabled. Edit: Logs are the same with hardware acceleration disabled as well. @lukask 'Graphics Feature Status' is part you should look at. 'Problems Detected' is related to 'Driver Bug Workarounds' and just shows known driver related issues. @lukask It seems okay. Only weird thing is too see it listing itens as being using hardware acceleration when it's disabled. @leocg Any idea what else could be causing these flickers? they're quite annoying. @lukask Like a said before, may be a Chromium issue or a driver incompatibility. @leocg I've noticed this in task manager, when I dont have mouse over the video it has opera as GPU 0 - Video decode (https://i.imgur.com/0pDPhim.png), if I hover my mouse over it, it stays as GPU 0 - 3D (https://i.imgur.com/HHmdA8a.png), maybe that has something to do with it and maybe there's way to force that 3D stuff to stay? I've been having this problem for a few months now. It only shows up in Youtube. I disabled hardware acceleration and it works fine. But, without hardware acceleration the whole browser is stuttery, and I don't like it. The same thing happens in Chrome btw. I believe this is caused by the Intel HD Graphics manager being in enhanced power save mode, it seems as if the gamma of the scene changes when the overlay is being drawn which causes more gpu utilization. You can run opera with a dedicated gpu to bypass this, but I cant tell if disabling Max Battery Life and Enhanced Power Save Mode work, as it changes the brightness too. I would say it works. This would be nice to have fixed though, as it affects all 6th,7th,8th, and possibly 9th generation Intel mobile graphics adapters. Edit: after more testing, my conclusion may not be correct at all, the same still occurs if you run opera with a specific gpu, because it defaults each process created afterwards to the integrated chip no matter what you do. I do think its related to the Intel driver though, and it seems like the gamma changes, thats all I know for sure. So, I had tested this with 2nd gpu I have (I use laptop so I have integrated one and nvidia one), when I was using nvidia one and disabled integrated, the problem was fixed, it's integrated graphics card that was causing problems for me. Since the 2nd gpu was being used sometimes for rendering I had to disable it eventually and go back to integrated, I bypassed the problem by downloading extension that makes the videos play in 'theater' mode, that way the colors won't change, returning to small player makes the problem persist again though. If you have a 2nd generation Intel processor you should be using the HD graphics 3000 which is considered legacy and no longer receives graphics updates. I just installed the latest Intel DCH driver and the problem went away, however that driver only supports 6, 7, 8, and 9th generation CPU's. Try installing the latest Intel driver and see what happens. If it gives you an incompatibility error and refuses to install, use device manager to update it. The shortcut for theater mode is and hopefully always will be T, which works when youtube removes the button. FWIW, that's what I have with Win10 and I don't experience this problem. 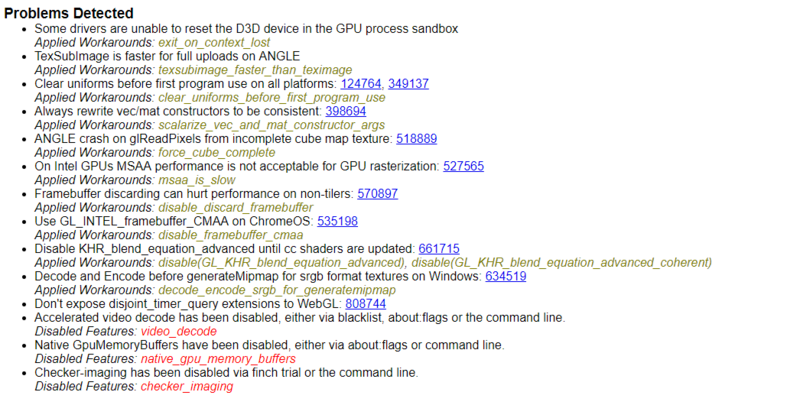 GPU driver 9.17.10.4459.